Close to local public transportation, and just ten minutes from the heart of downtown Washington DC, you'll never be more connected than you are at College Hall. 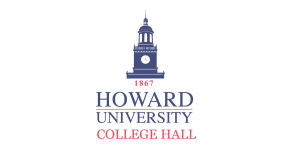 From the moment you move into any one of our apartments in Washington DC at Howard University, you'll be within arm's reach of everything you'll need as a graduate student or undergrad. Whether you feel like shopping at Gallery Place, catching a concert at the adjacent 9:30 Club, or stocking up on groceries for an upcoming party at GIANT Food or Yes! Organic Market, you'll be able to do it all at College Hall. From greek food at Kapnos to trendy bistro fare at Marvin to the giant pandas at the Smithsonian National Zoological Park, new adventures are always just around the bend. Once you've found the floor plan that's right for you, stop by today to set up a tour of your future home!